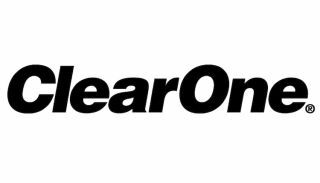 The What:ClearOnehas introduced a new software upgrade to its VIEW Pro system. The system upgrade includes several enhancements including a convenient web-based GUI. Also, the configuration tools on CONSOLE software have been organized and redesigned for intuitive and simplified set-ups. The What Else: ClearOne’s VIEW Pro product line offers comprehensive and powerful suite of AV over IP components, now with enhanced installer-friendly configuration software. Along with its low bandwidth, flexible scalability, and budget-friendly optional software licenses for video wall, video composition, and local playback, the "VIEW Pro system will meet the needs of any network media streaming project,” according to the company. The Availability: The VIEW Pro system upgrade will be available as a free software update at the ClearOne website at the end of the month.